Canada's health ministers say they are moving closer to a national pharmacare program, but questions remain over who will pay for it and how broad it will be. Details about who will pay for a national pharmacare program and what it might cover remain to be decided after a summit of health ministers wrapped up in Winnipeg on Friday. Federal Health Minister Ginette Petitpas Taylor said different options are being considered by an advisory council led by former Ontario health minister Eric Hoskins, who gave a presentation at the summit. "My ministers have made it very clear that today that they are very interested in what a pharmacare program can look like, but also the issue of cost was raised as well today," Pepitas Taylor said. "We certainly want (the council) to bring forward options that they want us to consider and then, from there, the issue of funding is going to be an absolute priority as well." Quebec's Gaetan Barrette said the advisory group will report back in September. Newfoundland and Labrador's John Haggie said any pharmacare program must be funded in a consistent way by Ottawa. He said the federal government's share of overall health-care costs has dropped dramatically over the years — from 50 per cent to less than 20 per cent. Manitoba Health Minister Kelvin Goertzen laid out four key requirements his government expects a national pharmacare program to meet. "Our premier and others have been clear that when it comes to the financial aspects of how that program might work, it needs to be defined, it needs to be adequate, it needs to be secure, and it needs to deal with inflationary cost," he said. Saskatchewan Health Minister Jim Reiter warned that the provinces will oppose pharmacare if Ottawa requires it under the Canada Health Act but does not help pay for it. On Thursday, Goertzen raised concerns that the federal government wasn't doing enough to inform young people about the dangers of legalized cannabis. After discussing the matter with his federal counterpart, Goertzen said he still has concerns, but he was glad to hear the federal government has plans to do more outreach work in the future. "Minister Petitpas Taylor had a fascinating discussion last night about Spotify and Snapchat and all the things that you would expect people of our generation to talk about," Goertzen said. "And certainly I think where we do agree is that there is more that can be done, there's more partnerships that can be had." 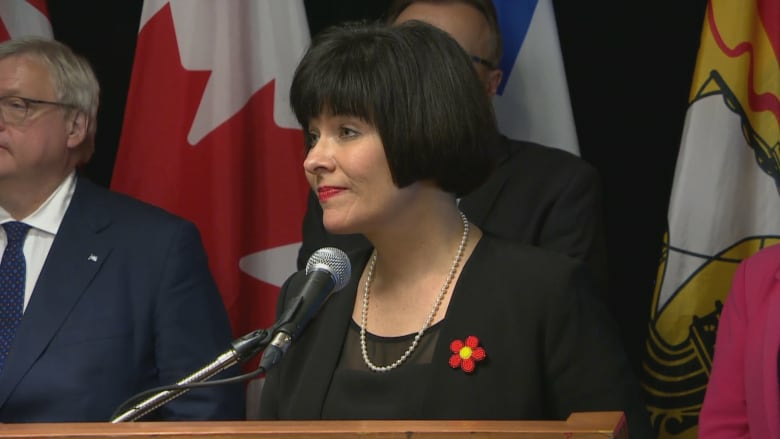 Petitpas Taylor agreed to a request from Manitoba to use some of the opioid funding in the last federal budget to fight methamphetamines, Goertzen said. The federal health minister said the government has spent $108 million on its public education campaign, and has also partnered with organizations like Drug Free Kids, which helped prepare education kits to help parents and caregivers discuss the dangers of cannabis with their kids. "When I hear individuals indicate that there's not a lot of public education that is out there, I think we also have to realize that we are not targeting perhaps our age group," she said. She said the education campaign has focused on targeting its messaging to young people through social media.